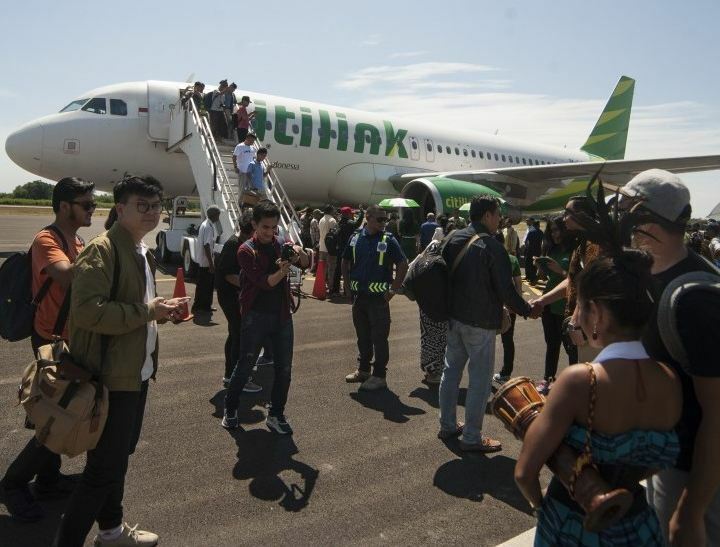 Indonesian ambassador to Timor Leste, Sahabat Sigorus, said here on friday (Oct. 4) that the government of Timor Leste would soon revise its air agreement to support international flights in the country. There will be a revision of air agreement to open international flights in the near future, he stated at a meeting with the governor of East Nusa Tenggarai province, Franz Tebu Raya. He confessed that he needed a exceptional duty of talking international flight amongst Dili (the funding of Timor Leste) and Kupang, the capital of East Nusa Tenggara that boundaries Timor Leste, in his current trip for the state with the local police officers. East Nusa Tenggara and Timor Leste have very close ties and discuss common interests. They are exceptionally reliant on each other, like within the transport sector and economy, in general. In view of this, he noticed that the meeting with Raya was vital with regard to establishing civic connections between the 2 countries and immediate understanding of direct flights between the two regions which will support the collaboration. He noted that besides developing bilateral connections, trilateral collaboration among Indonesia, Timor Leste, and also Australia should likewise be carried out more rigorous in all industries, including licensing. At the context of the wider cooperation, Sitorus commented that he expected for the continuous purpose of the local authorities in preserving smooth cross-border individual traffic. People have to become often reminded that under international regulation, they need passports to cross borders, he added. He explained that this is crucial that you minimize potential immigration issues that could interrupt the decent relations between both countries. We need to protect the wider future interest of the 2 countries of progressing collectively. We encourage financial empowerment of individuals in the border in keeping with the "Nawacita" application of President Joko Widodo. In essence, we are also going to support all the programs of Raya, he said. Raya asserted that the trilateral cooperation had so far gone well, although concretely it had to become further daunted by executing the collaboration that was agreed upon in some specific sectors. Regarding licensing, he also noted that it was crucial to support vacationers to invest in transport in addition to some other businesses. East Nusa Tenggara includes plenty of potentials that can attract traders. Tourism in addition to fisheries and maritime sectors are one of those that are asserting for investment, he concluded.